Due to popular request (ok one request), I will be posting some of my brother's safari pictures. This one certainly caught my eye. 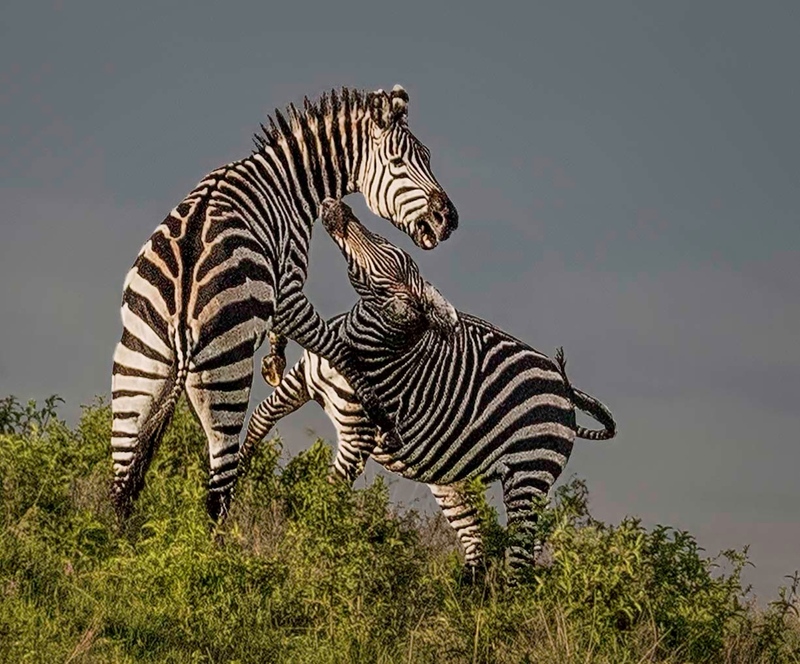 Are these zebras playing? This was an example where one male trying to exert dominance over another. I was quite a distance away from the pair, as this action was on a ridgeline about one-quarter of a mile away. 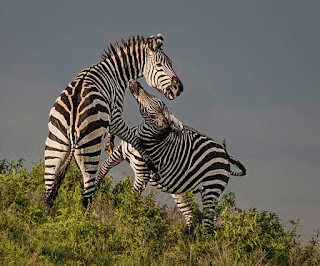 Imagine being to get this picture of some zebras 1/4 mile away! I've never seen a picture like this. PS I'm working on a low glycemic diet. Trying to find treats.